Each state in USA is iconic for a variety of different reasons but there is one thing in common with each – the State Capitol building. We have not made any particular attempt to visit every State Capitol but we have seen several and we really believe these are some of the finest pieces of architecture within each of the states. Let’s face it, they are an iconic representation of the state in terms of the state’s values, inherent cultures and laws. 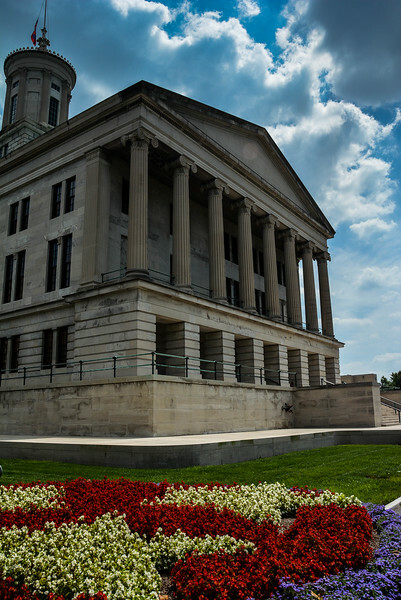 We want to share 10 of the most beautiful State Capitol buildings that we have experienced while wandering around USA. Most Beautiful State Capitol Buildings – Why? 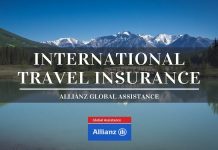 Embarking on our quest to visit all 50 states has been an incredibly rewarding experience, not only because of the amazing attractions and destinations we have explored but because of the rich history and cultures we have encountered throughout the various states. Of course I am writing this at a time when we still have 4 more states to visit, but I think we both feel like we have seen enough now to share some of our favorite experiences while exploring 46 of the 48 contiguous states in USA. When President Theodore Roosevelt dedicated the present day Pennsylvania State Capitol building as being the most beautiful building, I think this is pretty much a statement that can be attributed to each of the state capitols. 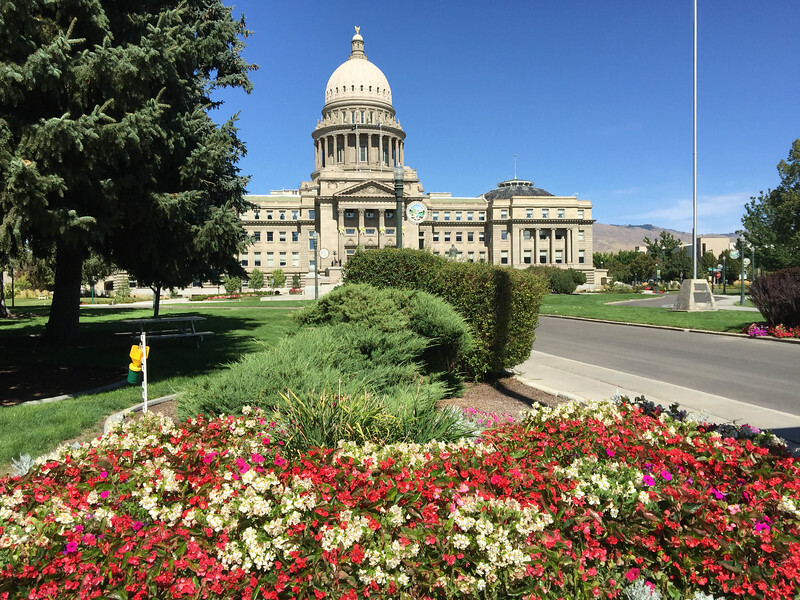 State Capitol buildings are one attraction that we have really enjoyed visiting, whether it was a spontaneous trip to Boise to see the Idaho State Capitol or passing by Boston’s Massachusetts State Capitol on our way to walking the Freedom Trail. Where are the State Capitols? Let’s start by sharing a handy list of state capitol locations so that as you begin your travels around USA, you can either choose to make an effort to visit all of these gorgeous buildings or perhaps let spontaneity take over and if you stumble across one…then so be it! 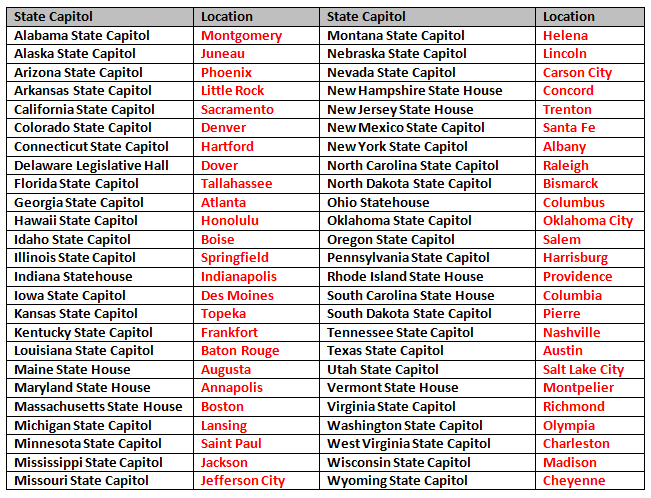 How many of these state capitols have you visited? What may be more interesting is to see how many of these locations you have visited and not even known that the state capitol building was located there. So far we have been fortunate to experience several of these though we have been culprits of visiting a couple of other cities and not finding the title to explore the state capitol. Here are our top 10 most beautiful state capitol buildings in USA (in no particular order). It’s only appropriate that we start with our home state of Arkansas and the State Capitol located in Little Rock. The history of this gorgeous piece of architectural brilliance dates back to the start of the 20th century when construction was completed in 1915. 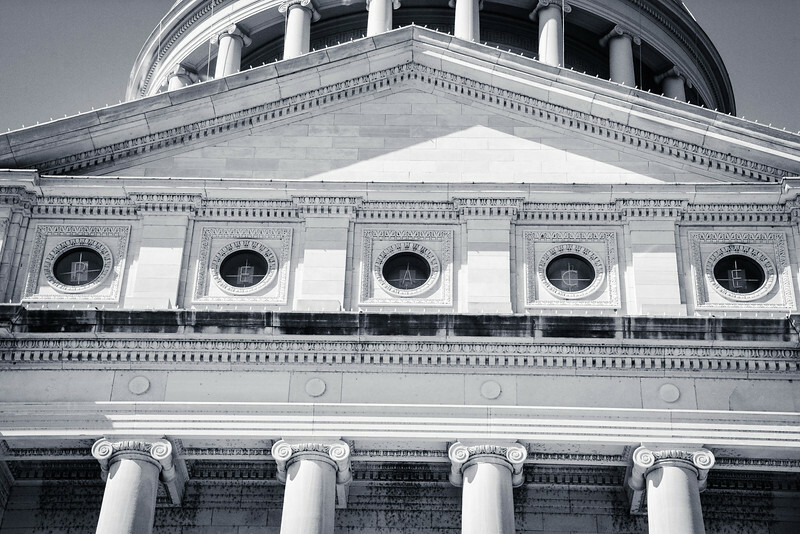 The stereotypical neo-classical design of the Arkansas State Capitol includes the iconic dome that we can frequently associate with many of the most beautiful state capitol buildings. As you walk around the grounds, you will notice a number of other memorials and monuments representing key moments, figures and geographical entities in Arkansas’ history. 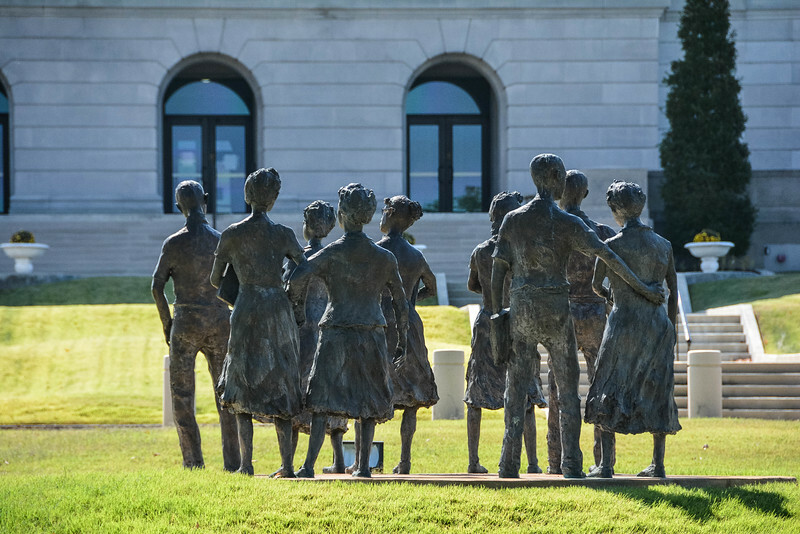 Although it is fairly common to see State Capitol grounds housing memorials to Vietnam Veterans and other key wars, it’s nice to see Arkansas adding a little local feel to the remembrance by including the ‘The Little Rock Nine Monument’ which marks the desegregation of public schools in 1957. 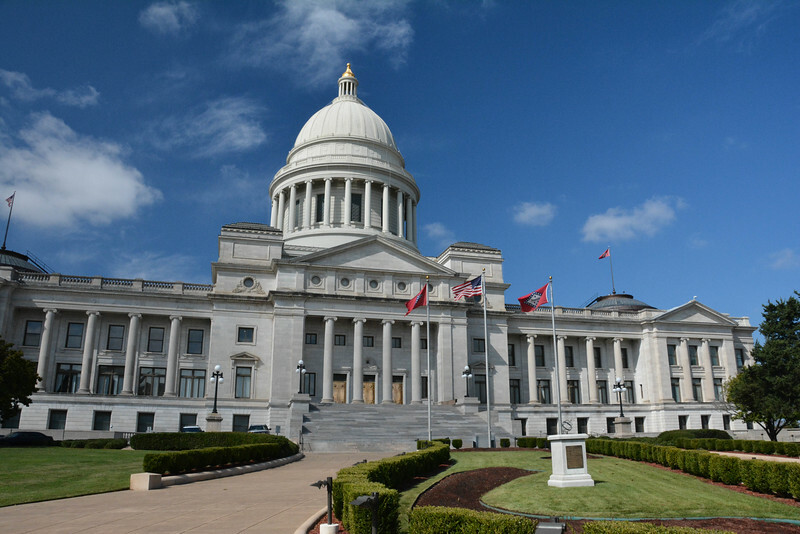 The Arkansas State Capitol is open to the public 8:00AM to 5:00PM on weekdays and limited hours on the weekend (be sure to call ahead for weekend/holiday hours). Free guided tours are available on weekdays between 9:00AM and 3:00PM but you are more than welcome to take a self-guided tour after picking up a map and information booklet from the visitor center. 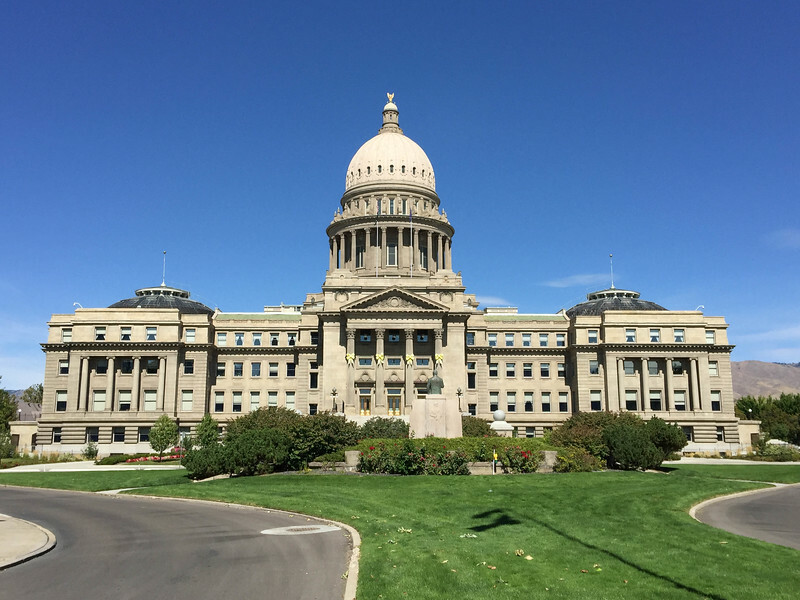 Our most recent State Capitol was in Boise, Idaho on a gorgeous day which really helps emphasize the beauty of these types of buildings. The circular rotunda of the interior is one of the iconic aspects of Idaho’s State Capitol but from the outside the wings and imperious dome are yet again the standout features. The dome rises 208 feet above the Boise skyline, which for a city that does not have much of a skyline, it is certainly a prominent aspect that helps make the State Capitol an attractive landmark for architecture connoisseurs. The Idaho State Capitol is open to the public 6:00AM to 6:00PM (open until 10:00PM January-March) on weekdays and 9:00AM to 5:00PM on weekends and holidays. Free guided tours are available on weekdays at 10:00AM and 1:00PM if a minimum of 5 are scheduled. Reservations have to be made at least 2 weeks in advance. Visitors are more than welcome to take a self-guided tour after picking up a map and information booklet from the visitor center, or you can download a self-guided map directly from the Idaho State Capitol website. 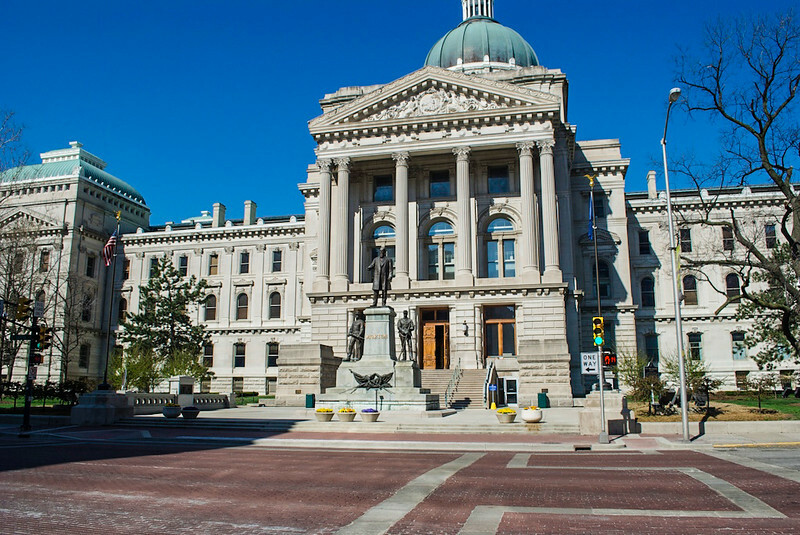 Dating back to 1888, Indiana’s Statehouse (note that this is referred to as a Statehouse rather than State Capitol – I am still not sure what the key difference is here except for the naming convention) is located in the heart of downtown Indianapolis. We took a morning stroll around Indianapolis visiting many of the historical Hoosier state locations before stumbling across this statehouse. An interesting design feature of the present day Indiana Statehouse is that from a birds eye view it is shaped like a cross, with the central rotunda providing a connection between the four wings. I will openly admit that when I first saw this building with the monument of Oliver Morton standing proudly in front, I wasn’t aware that this was Indiana’s state capitol. This building is actually Indiana’s fourth statehouse after previous constructions were either condemned or in different parts of the state. 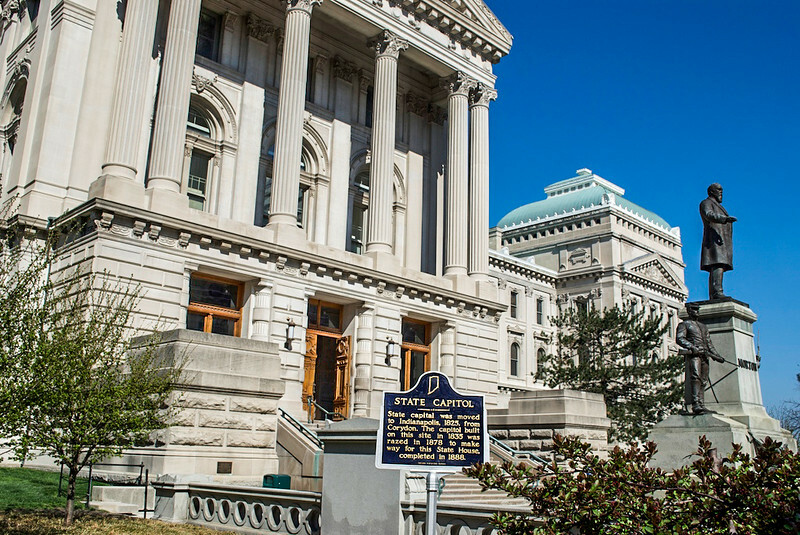 The Indiana Statehouse is open to the public 8:00AM to 5:00PM on weekdays and limited hours on weekends. The tour office is closed on state holidays. Guided tours are available Monday to Friday between 9:00AM and 3:00PM, and at the following times on Saturday’s – 10:15AM, 11:00AM, 12:00PM and 1:00PM. Des Moines, Iowa is the home of Iowa’s State Capitol and I have to say that this is probably the most spectacular and impressive design that we have experienced so far. The stunning gold dome made me immediately think of an Asian influence and perhaps even similarities to the infamous Taj Mahal could be made. Approaching Des Moines from I-80, you cannot avoid the sight of the Iowa State Capitol and emphasizing the beauty of the gold dome immediately makes you want to stop and explore! 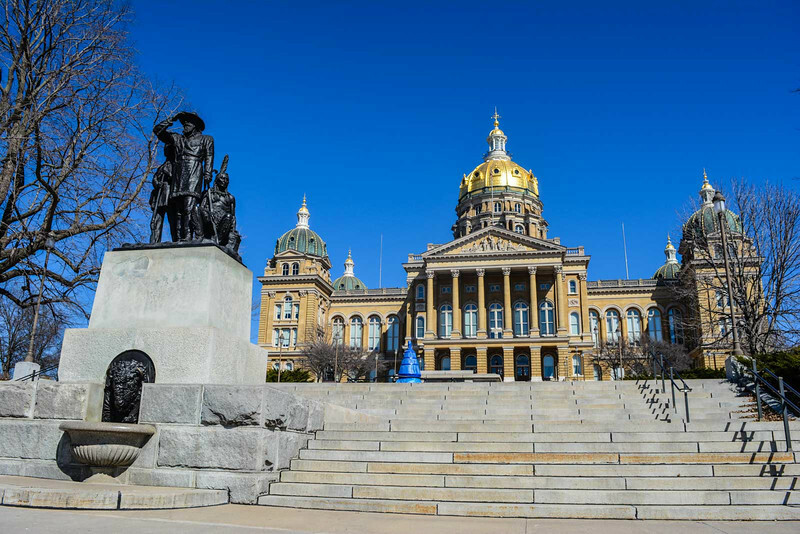 We had no intentions of visiting the state capitol in Iowa until we saw this from afar, but we are both delighted that we made the decision to head over and experience the state capitol grounds. 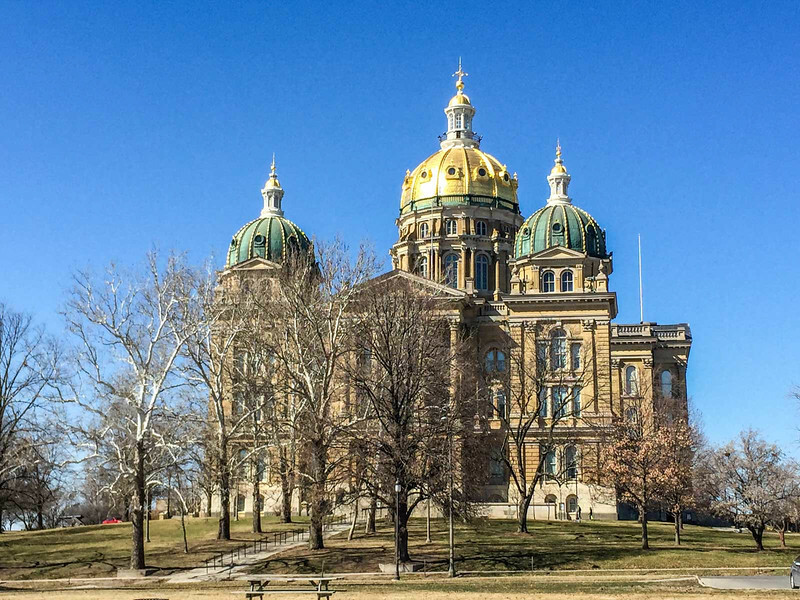 Although we see many state capitols with domes, Iowa’s is unique in the respect that there are two corresponding smaller domes that flank the focal point, hence my comparison with the Taj Mahal. Two further domes makes Iowa the only capitol building to have five domes in USA. 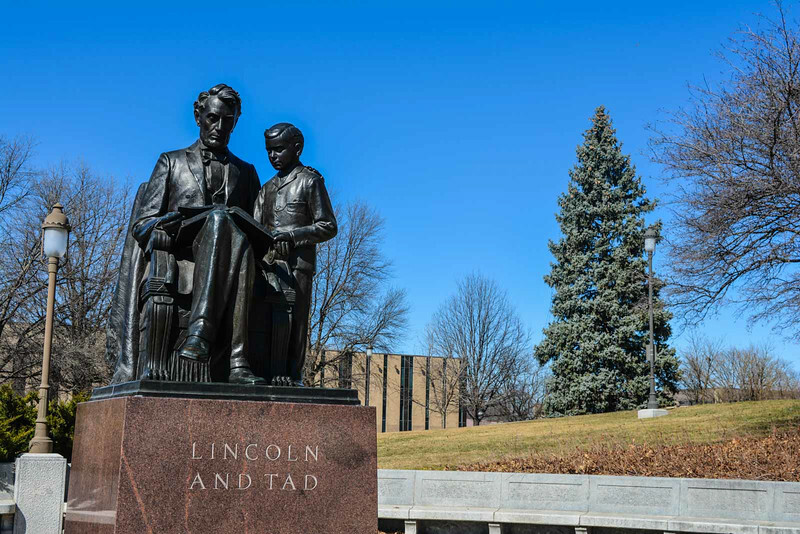 From the Spanish Howitzer monument to the memorial of Abraham Lincoln and Tad, exploring the grounds offers equally as much interest as the capitol itself. The Korean War Memorial is among a plethora of other war memorials focused on remembering all those lives lost, and with the capitol building in the background it is an interesting location to walk around. The Iowa State Capitol is open to the public 6:00AM to 5:00PM on weekdays (Tours are available 9:00AM to 4:00PM) and 9:00AM to 4:00PM on Saturday’s (Tours are available 9:00AM to 3:30PM). Self-guided tours are available at any time during business hours. 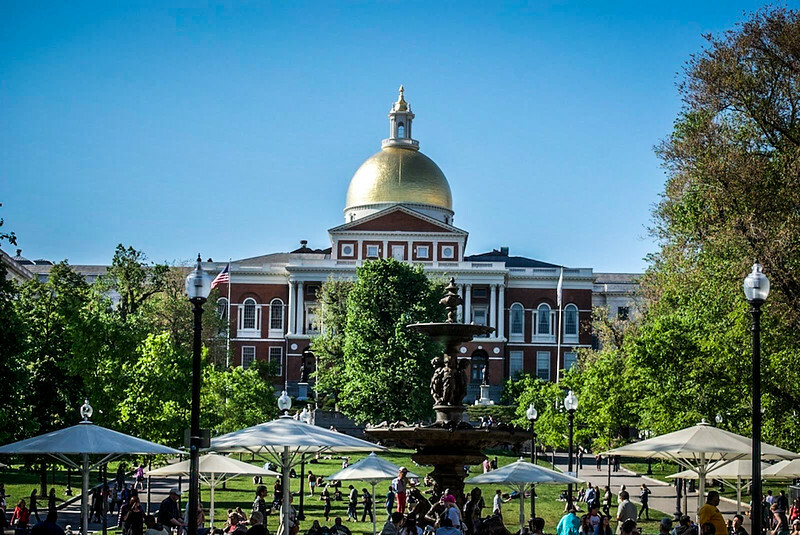 Located in the Beacon Hill or downtown neighborhood of Boston, the Massachusetts State House is probably located in one of the best areas for frequent visitors. As you stroll across the Boston Common, you can’t help but notice another gold dome (very similar to Iowa’s State Capitol design) that stands proudly overlooking the downtown metropolis. The history of Massachusetts State House dates back to construction being completed in 1798 on a 6.7 acre plot of land owned by former governor, John Hancock. 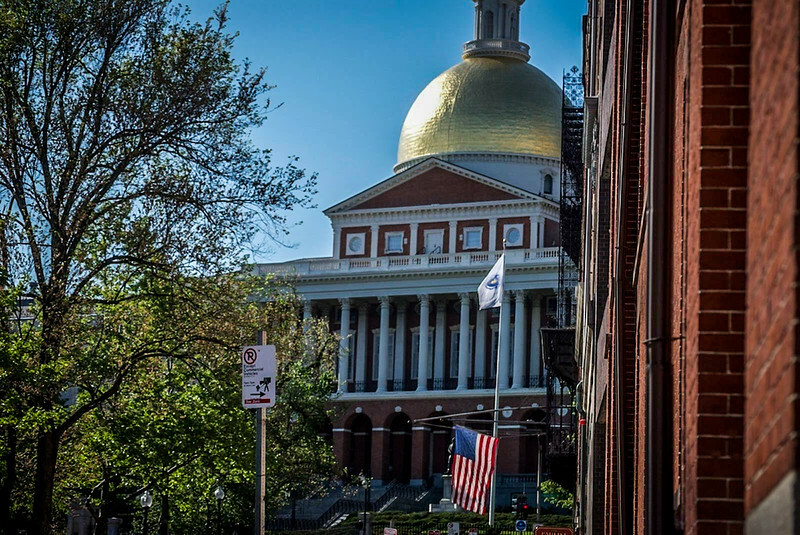 The infamous dome that is clearly a key feature of this state house was originally a wooden design until Paul Revere’s company covered the dome in copper. In 1874, the dome was painted in gold leaf to provide today’s look. Boston is commonly referred to as ‘The Hub’ short for the hub of the solar system. The quote by Oliver Wendell referenced the State House and even to this day it proves to be a focal point of Boston’s inner city along with of course the state of Massachusetts as a whole. The Massachusetts State House is open to the public 8:45AM to 5:00PM on weekdays only (closed on weekends and holidays). Guided tours are free and are scheduled daily between 10:00AM and 3:30PM, lasting approximately 30-45 minutes. Self-guided materials are available if you prefer to go your own way. The Mississippi State Capitol is located in the heart of Jackson, Mississippi. 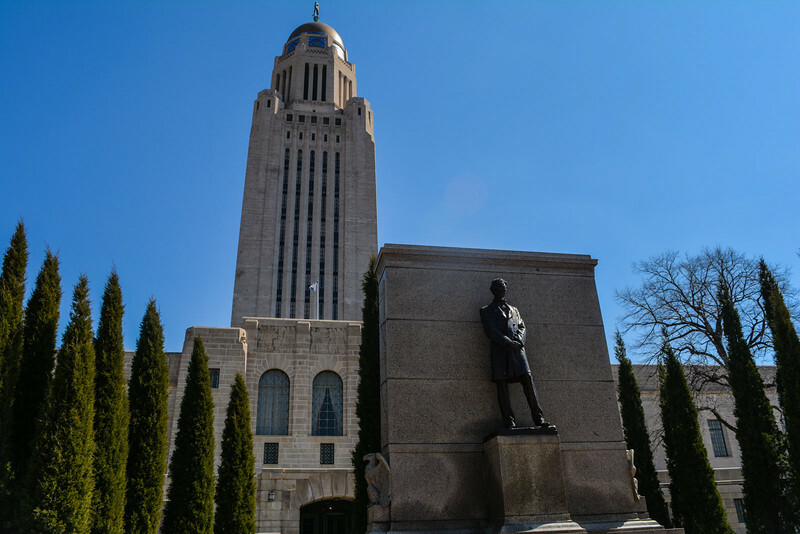 It is the third building to be recognized as the State Capitol and construction was completed in 1903. The French inspired Beaux-Arts influence is noticeable throughout this design and yet again the dome is one of the memorable features alongside the intricate details of both interior and exterior. The copper and gold eagle that soars across the Mississippi skyline from the summit of the dome is a cool sight and with 750 lights illuminating the ‘Blind Justice’ this is one of the main reasons why you would want to visit this state capitol building both during the day and again at night. 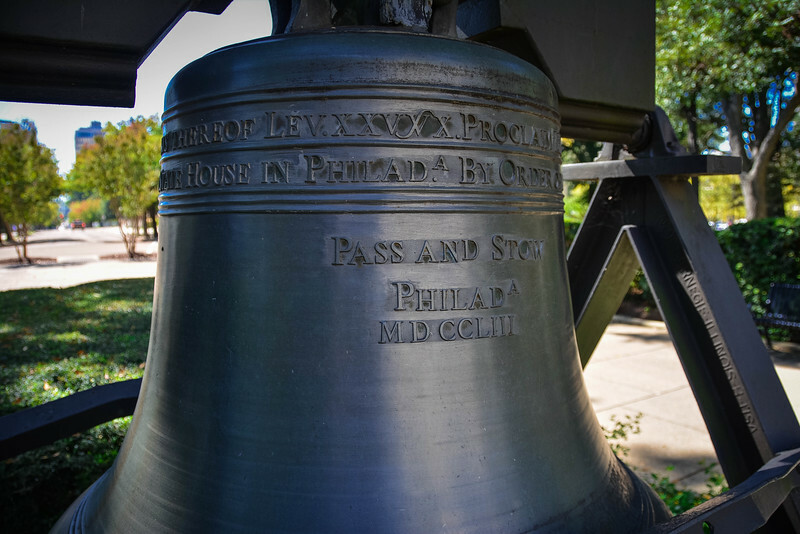 Another interesting fact is that the Mississippi State Capitol grounds house one of only 53 true replicas of the Liberty Bell, so be sure to take a walk around before leaving. The Mississippi State Capitol is open to the public 8:00AM to 5:00PM on weekdays only (closed on weekends and holidays). Guided tours are free and are scheduled daily at 9:30AM, 11:00AM, 1:00PM and 2:30PM. Self-guided tours are also available during open business hours. 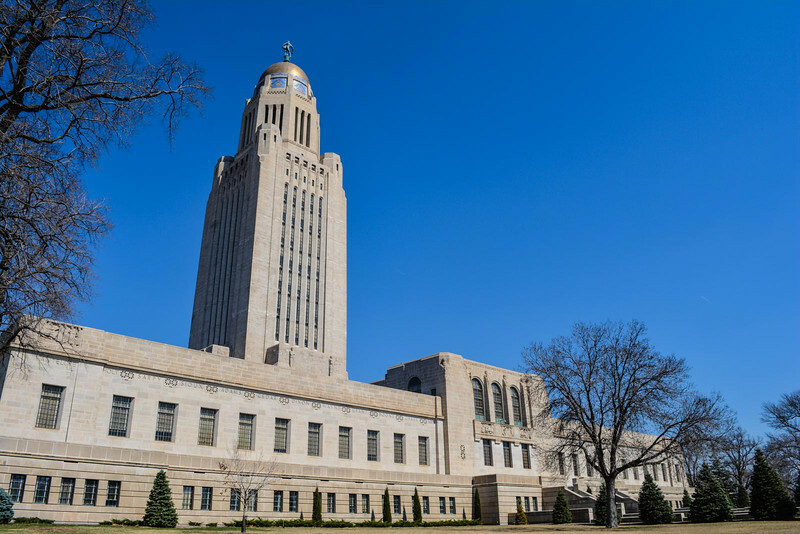 After visiting a number of other state capitol buildings, we immediately noticed something very different in terms of the design of the Nebraska State Capitol in Lincoln. The skyscraper style design of the tower which rises 362 feet into the Cornhusker sky is crowned with a gorgeous golden dome. I love the uniqueness of this design and how it allows Nebraska’s iconic building to stand out among its counterparts. It is very similar to Louisiana’s design and stands as the second tallest US state capitol behind the location in Baton Rouge. The building has four wings surrounding the central rotunda making it a similar design to that in Indiana, but this is the first design that actually has a fully functional tower with usable space. 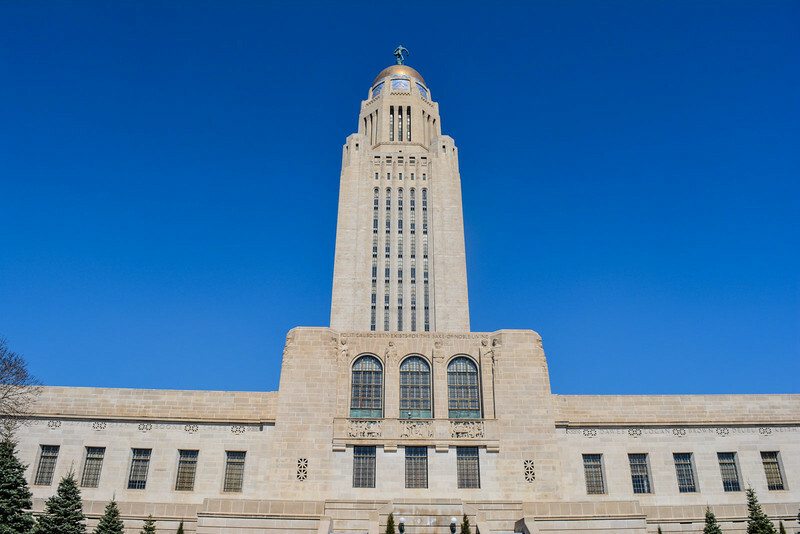 The Nebraska State Capitol is open to the public 8:00AM to 5:00PM on weekdays, 10:00AM to 5:00PM on Saturday’s and holidays, and 1:00PM to 5:00PM on Sunday’s. Guided tours are available daily on the hour (except at Noon). 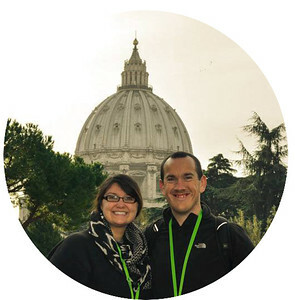 Visitors are also more than welcome to take a self-guided tour. 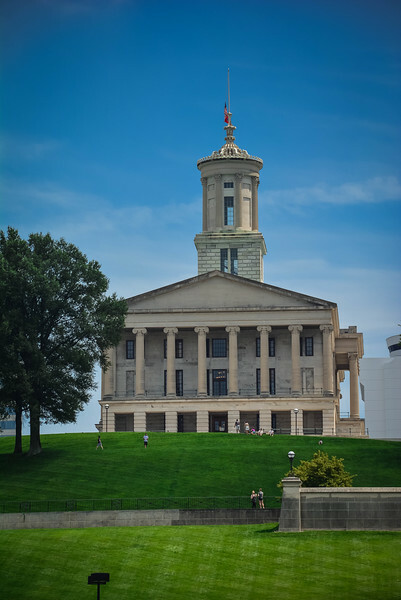 Nashville is home to the Tennessee State Capitol and this is one that we have visited most frequently. It’s location directly behind the Centennial Mall makes this a perfect spot to enjoy a relaxing stroll before exploring other parts of the city. Construction of this design was completed in 1859 and monuments of two of the former Tennessee US presidents can be found here, namely Andrew Jackson and Andrew Johnson. The third former US president from Tennessee, Andrew Polk, was actually buried on the grounds of the State Capitol. 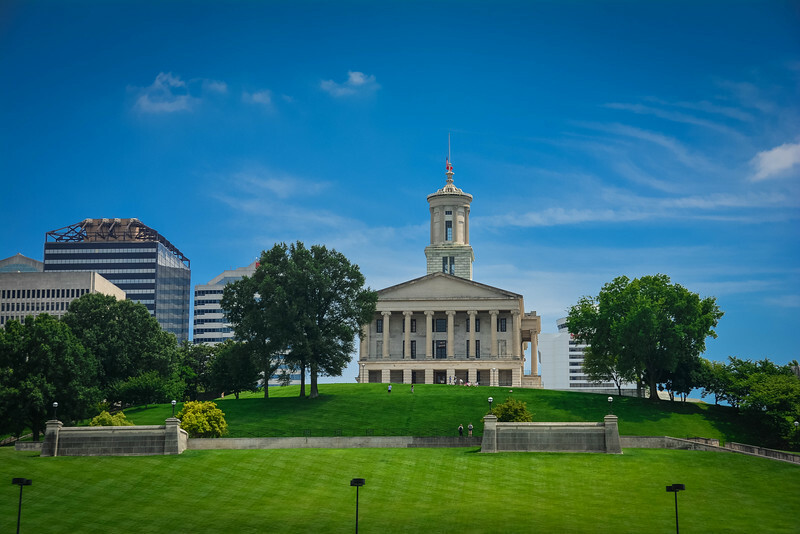 Given that Nashville is renowned as the ‘Athens of the West’ with so much Greek influence throughout the city, most notably the sole true replica of the Parthenon, it is no surprise to hear the designer modeled the state capitol building after a Greek temple. The Tennessee State Capitol is open to the public 8:00AM to 4:00PM on weekdays but closed on weekends and holidays. Free guided tours are available daily on the hour between 9:00AM and 3:00PM. Visitors are also more than welcome to take a self-guided tour. Built in 1833 in the city of Montpelier, Vermont’s State House is one of the oldest state capitols in USA. We paid a quick visit to Montpelier and aside from a relatively small downtown area (Montpelier is the smallest state capital in USA), the state house was clearly the focal point of this town. 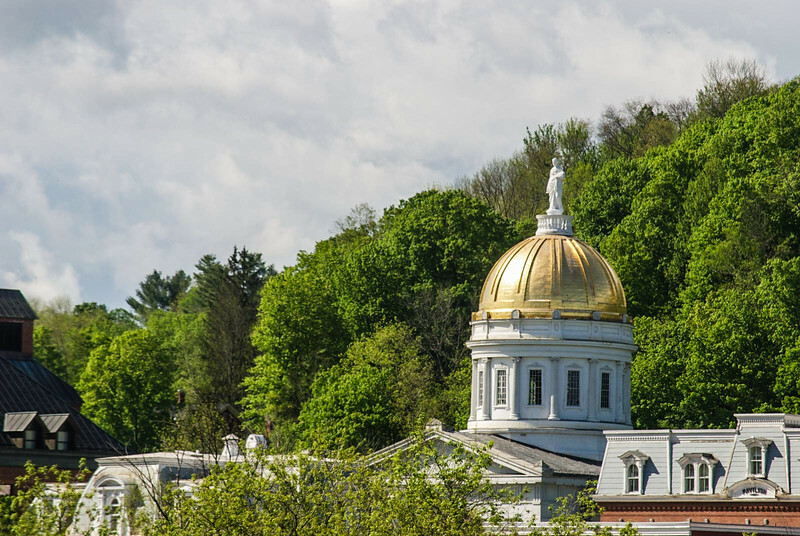 The golden dome is once again an iconic feature and immediately grabs your attention as you drive around Montpelier. This is one of the state capitols that we only briefly visited from a distance, but there is clearly a renaissance feel to the design which was a popular style during the time period this was constructed. The Vermont State House is open to the public 7:45AM to 4:15PM on weekdays and 11:00AM to 3:00PM on Saturday’s between July and October (Closed on Sunday’s). Free guided tours are available daily on the half-hour from 10:00AM to 3:30PM and on Saturday’s from 11:00AM to 2:30PM (July to mid-October) . Visitors are also more than welcome to take a self-guided tour. 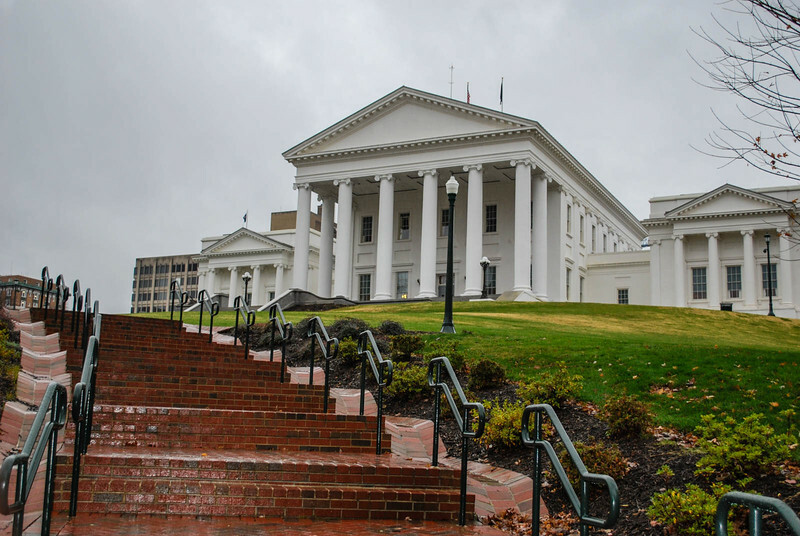 The second oldest state capitol building is located in Richmond, Virginia. The Virginia State Capitol dates back to 1785 and houses the oldest legislative body in the west – the Virginia General Assembly. 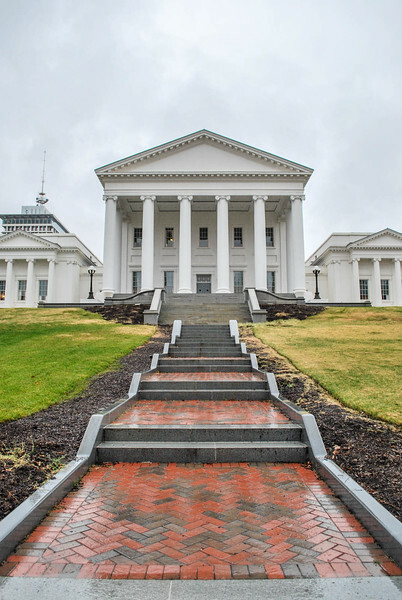 Designed by Thomas Jefferson and Frenchman, Charles-Louis Clérisseau, the Virginia State Capitol oozes Roman influence and is a direct model of Maison Carrée, an ancient Roman temple located in Nimes, France. 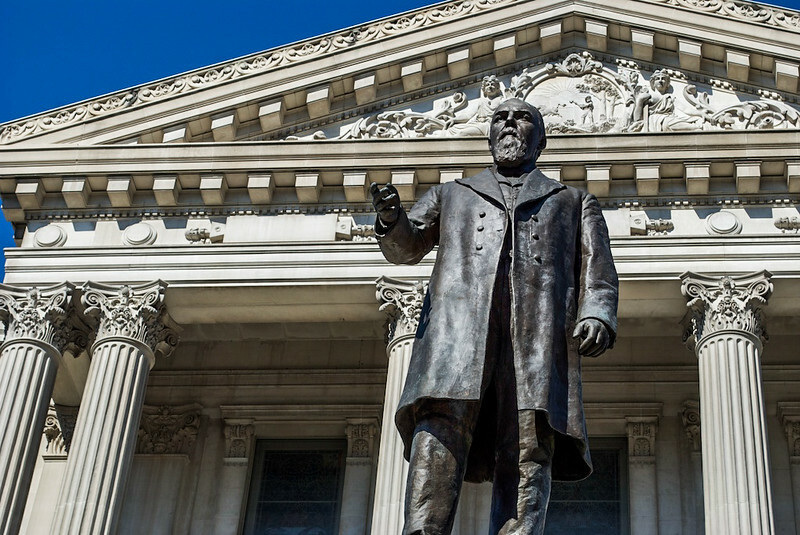 Much of the history behind one of the most famous state capitol buildings surrounds the American Civil War. This building served as the Capitol of the Confederacy and second home of the Confederate states after the Alabama State Capitol. 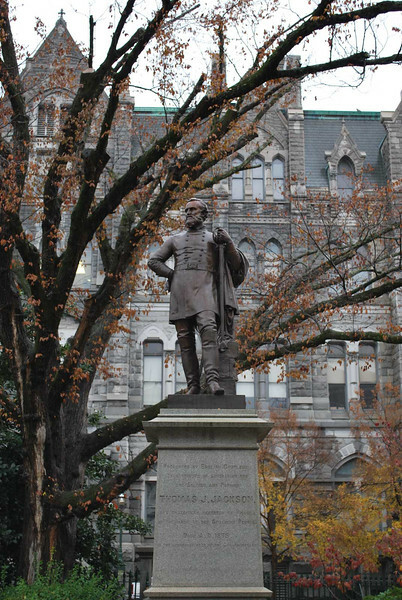 A statue of George Washington can be found in the rotunda of the Virginia State Capitol but it is the surrounding Capital Square on the outside where many other monuments and memorials can be found. From the Virginia Civil Rights Memorial to a legendary statue of Thomas J. “Stonewall” Jackson, there is plenty of local and national history to experience here. The Virginia State Capitol is open to the public 8:00AM to 5:00PM on Monday to Saturday and 1:00PM to 5:00PM on Sunday’s. Guided tours are available from 9:00AM to 4:00PM on Monday to Saturday (final tour leaves at 4:00PM) while on Sunday’s tours are available 1:00PM to 4:00PM. Self-guided tours are also available during business hours. After visiting what we consider to be ten of the most beautiful state capitol buildings in USA, we are of course eager to experience many more. 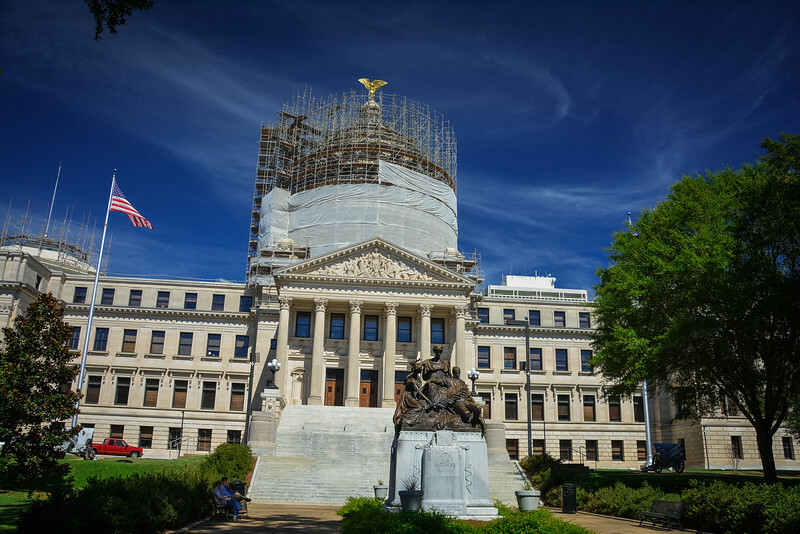 Steeped in rich history and designed with architectural brilliance, capitol buildings are the pinnacle of each state due to what they represent statewide. Rather than sitting on the fence, I will admit that I have a real soft spot for the Iowa State Capitol. 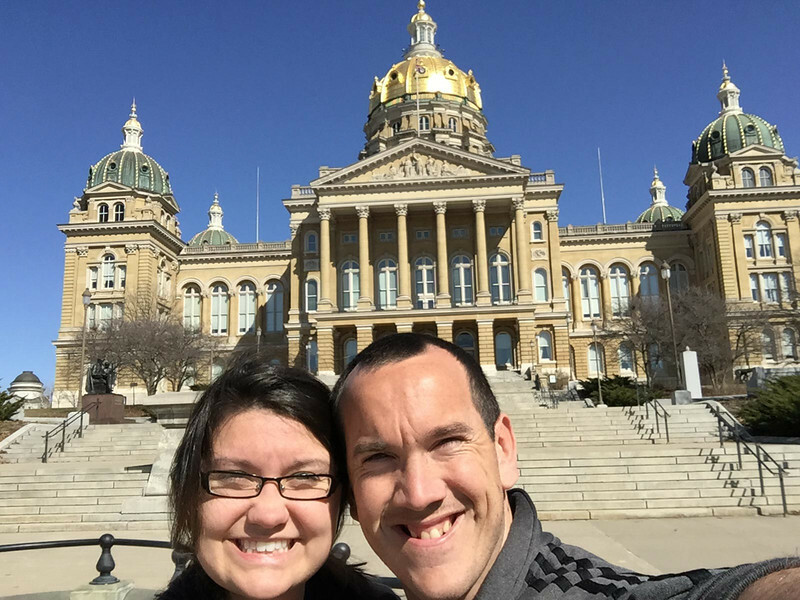 Visiting Des Moines with very little expectations, the state capitol was the first experience we had and it really kickstarted our time in Iowa’s capital. I love the location of many of these capitol buildings, particularly in Boston which provides a perfect backdrop as you explore the rest of this gorgeous city. Exploring state capitols is something that we have stumbled across rather than actively sought out. Hopefully as we continue to visit more, we will have similar experiences but we are ready to hear about what your thoughts are on state capitol buildings? I’m totally biased, but I think Virginia’s capitol is the best! I’m glad it was included on your list. 🙂 The Iowa capitol is really unique, though – it stands out from the crowd! Nothing at all wrong with being a little biased Katrina 🙂 I would say that we are little biased with Arkansas’ and although I have to say it is pretty impressive in Little Rock, Iowa’s is still the winner in my opinion! But they are all equally impressive in their own way and you just have to experience them all to get a better judgement. Next stop is a more detailed experience ‘inside’ the state capitol buildings as we have only been able to tour a couple of them. What a great list I am totally pinning this for future reference. I haven’t been to any State Capitols, but I am a geeky list person and love crossing things off so I imagine that when we visit/move to the US I will start crossing these off. Iowa’s one is so very European! I also recognized the Nebraska one (my husband is from Lincoln) but I have only seen it from a moving car! Thanks so much Hannah! We are exactly the same with ‘crossing things off’…once you start on a list you just feel like you have to keep going until you are able to check them off 🙂 State capitol buildings was never something we intended on visiting but once you have seen a couple you realize just how impressive they are. We are excited about seeing many more but I think this is a great starting point with such a wide variety of architectures to see. 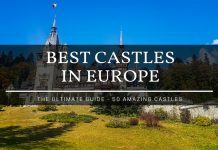 Sacramento should have been on this list,not only because it is in California,or because it’s metropolitan area is far larger than a quite a few on this list(especially Idaho and Oregon),but because it’s a beautiful building!!!!! I would be hard pressed to pick a favorite from these, as like you said, they are all quite different. I think I like the simplicity of Virginia best, but also the four with golden domes. It’s nice that you have seen so many of them, and shared them here. Hi! They all look pretty much the same, don’t they? Only the Nebraska capitol building looks quite different:) And Virginia too! Oh wow, suddenly I feel like in an episode of House of Cards! They are all so impressive and the architecture, against those clear skies, really stands out. Not sure I can pick one: maybe Iowa for how elaborate its domes are? Each and every one of them represents its own unique design and architecture. However, I have to agree that Iowa is quite special. But, the one in Boston is pretty cool as well. What a cool idea! I live in the capital city of my state so I see our state house all the time and I guess I take it for granted. But it really is a beautiful building – I’ve taken the tour and it’s very interesting. 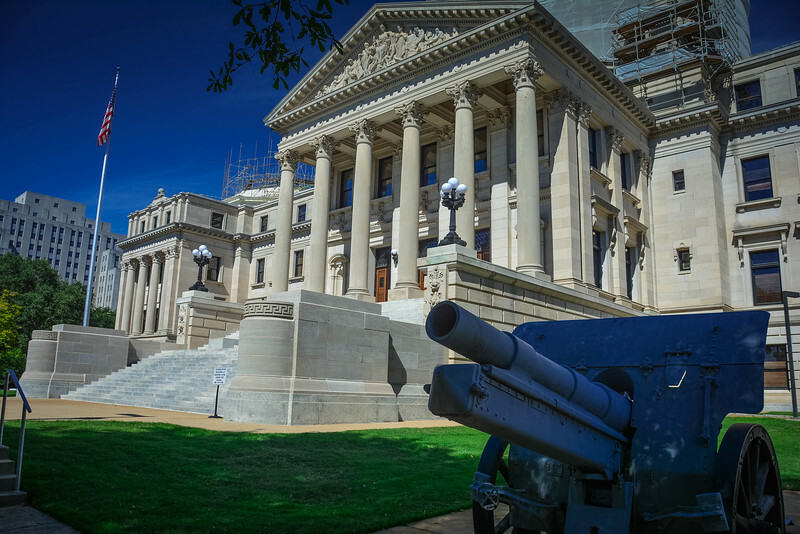 Come visit South Carolina’s state house – there are still marks from Sherman’s troops on the building wall so it’s got a bit of Civil War history with it. My favorite is Wisconsin. Never seem so many badger sculptures in my life! Plus the architecture and the materials they use are amazing. Lots of gold leaf and one type of French blue marble that has probably been quarried to extinction. Out tour guide told us it’s the most valuable federal building in the US. Plus there’s an awesome farmer’s market in the summer. Wow – they are impressive. I like the Virginia one the best…. Great choice Lydia! We were a little disappointed that it was pouring down with rain during our visit to Richmond but at least we were still able to capture a few shots of the capitol. I agree with you that the gold domes really set the state capitol buildings apart. Whether it’s the royalty feeling or perhaps just the fact it makes them look more ornate…I’m not sure but either way they are pretty spectacular and Iowa just went above and beyond with their gorgeous design! What gorgeous buildings! Visiting all of the State Capitols would be a fantastic travel project. Especially when you don’t plan it 🙂 I definitely agree with you though that once you have seen a few of them, it inspires you to explore more of them so hopefully we can visit many more in the near future. Gotta hand it to Nebraska for bucking the trend with their Gothic Revival architecture. Certainly sets them apart, and I love the style anyway. I also love the Colorado and California capitol buildings. Even though they share the Neoclassical style so many others do, they are grand buildings in beautiful settings. Fun post – thanks for sharing! What a fun compilation! I find Boston to have one of the most iconic capitols and hope to see it in person someday. We love it when we have low expectations and are awed when we arrive, sounds like you had a similar experience in Iowa. Highly recommend Austin to add to your list, they have a beautiful capitol building. Cheers guys! We loved walking around the Boston Common and seeing the Capitol in the distance…definitely agree that is one of the coolest, iconic capitol buildings around. Thanks for recommending Texas’ capitol because we would love to visit Austin and this is on our bucket list for sure. Great post! I love seeing all the different styles, although somewhat similar. My film work has taken me inside Louisiana’s state capital, but I haven’t done the official tour. They have a viewing platform at the top. Now I will have to put that on my day off things to do!! Thanks for the inspiration! I’ve been to quite a few of the state capitol buildings and I’m not sure I would be able to make a list of only 10 favorites. As you noted, each is unique and I’ve enjoyed each one that I’ve seen. Great point Vicki…the uniqueness of each building is definitely reflective on the state as a whole and the best part is actually getting out and exploring all of them. I like how each one adds their own twist and some like Nebraska’s are far different than anything else. Cool architecture! 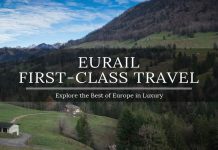 Thanks so much for linking up for Weekend Wanderlust. I love the Iowa State Capitol Building, although it is the only one I’ve seen. The inside is just as good as the outside with the marble grand staircase, the display of all the flags, the chandeliers, and of course the display of the porcelain dolls of all the first ladies of Iowa. By far my favorite! I hope you have an opportunity to visit the Wisconsin State Capital in Madison. It’s truly one of America’s most beautiful Capital buildings. We will definitely be making the effort to visit Madison sooner rather than later. We just visited a couple more in recent weeks (South Dakota and North Dakota) and all are so unique with their own character. Crazy that WV and TX are not on your list. They are consistently listed amongst the top 5 in the country. NE and IA are unimpressive in my opinion. Unfortunately, we didn’t Susanna!! There is so much to explore when you visit these Capitol buildings and the majority of these we just experienced from the outside. We will hopefully have the opportunity to head back to Des Moines to go inside and admire the beauty indoors as much as we did outside. You should look at the Wisconsin State Capital building in Madison, you literally can’t build another capital building think this because there marble use to build is so rare that there not enough resources in the world to rebuild another. Wisconsin’s Capitol is in the top ten for sure. Might. It be as good as Iowa, but definitely super beautiful and worth seeing. How is Wisconsin’snot on there, I’ve been to 48 states and that one is by far one of the best. I know I’m rather late to the party here by a few years but I hope at some point you have stopped by Connecticut and saw our gorgeous capitol building in Hartford. I may be biased but I think we have the most gorgeous capitol in the country. I drive by it a lot and I am constantly in awe. Marble and granite with a gold dome on top. https://en.wikipedia.org/wiki/Connecticut_State_Capitol The state house a few miles away is also worth visiting. I am 68 next week and I just finished the road trip of a lifetime. I drove a 1966 Corvette to each capital city in the lower 48 states this summer. I didn’t have a favorite Capitol because each Capitol Building is unique, but you are right about Iowa. You can see the gold dome as you drive into Des Moines. I didn’t need my nav system to find the Capitol. Hope you finished your tour of the Capital Cities. Little known fact… The Iowa capital center dome hes a USGS Altitude benchmark inside of it.